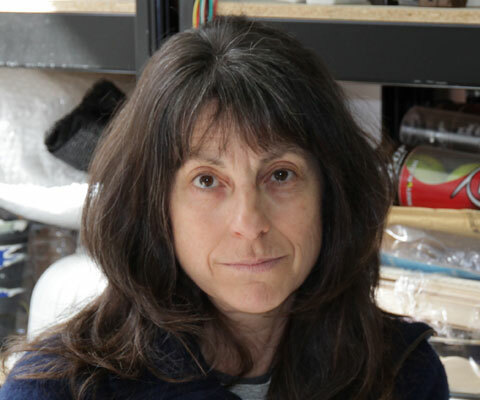 Multidisciplinary artist Diane Landry was awarded a Guggenheim Fellowship in Creative Arts to pursue her research and work on a project integrating performance, video and art installation. For more than three decades, Ms. Landry has investigated the transformative properties of light, sound and motion. She creates works out of ordinary objects, gathered from everyday life, altering their meaning and value and our understanding of them. She also creates performances alongside her sculptural work. Ms. Landry has been artist in residence in New York, Montreal, at the Banff Centre, in Buenos Aires, Marseille and Utica (New York). Her work has been exposed in Canada and the United States, as well as in Australia, China and Europe. It was recently featured in the internationally touring exhibition, Oh Canada, organized by the Massachusetts Museum of Contemporary Art. A fine arts graduate of Laval University and Stanford University, Ms. Landry has also received the Jean-Paul Riopelle career grant from the Conseil des arts et des lettres du Québec in 2014, among other awards. * Diane Landry is one of 24 Canadian winners of major international research awards in 2015 featured in the publication Canadian excellence, Global recognition: Celebrating recent Canadian winners of major international research awards.